Does your home or business suffer from sluggish, slowly clearing drains? Do blocked pipes contribute to unpleasant sewer odors or backed up water in your sinks and bathroom fixtures? If this is you there is a good chance you are do for proper drain cleaning services, either locally or to the main line. Resolve the problem quickly by contacting Suburban Plumbing for fast, expert sewer line & drain cleaning assistance now. We will send a team to your location quickly to clear clogged drains efficiently and safely. We Serve All of Orange County, California! Suburban Plumbing’s service area includes Long Beach, Huntington Beach, and the entire OC and its suburban enclaves. Our plumbers possess personal familiarity with this part of Southern California. When you request our assistance, we’ll reach your location using the fastest, most direct routes. Obtain fast, capable drain line cleaning upon request! Receive flat rates for services and clear, up-front pricing! Today many residents in this beautiful part of the Greater Los Angeles Area appreciate the importance of preventing sewer line problems by obtaining regular, periodic cleaning for drains. Our service assists homeowners and businesses in maintaining their premises in a clean, fresh-smelling, attractive condition throughout the year. 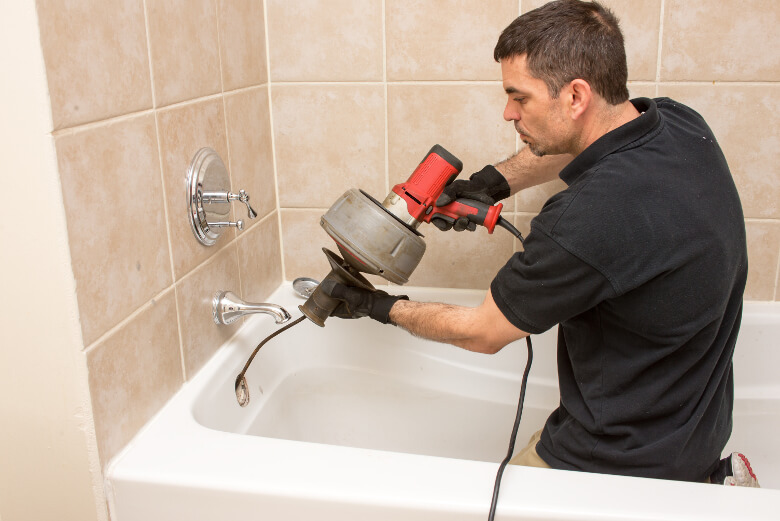 By requesting periodic rooter assistance, you’ll reduce the need to seek drain snaking or blockage removal services after drain clogs cause sluggish water flow. Our team cleans away embedded mineral and dirt build-up inside aging pipes correctly, without using harsh or corrosive chemical agents. This service helps prevent some types of drain clogs. By clearing debris, we ensure water can flow through the interior of pipes without encountering obstructions that sometimes contribute to clogged drains and drainage backup problems. Residents appreciate our efforts. After one of our drain cleaning service calls, you’ll notice the drains on your premises perform effectively again. They won’t look or smell dirty. 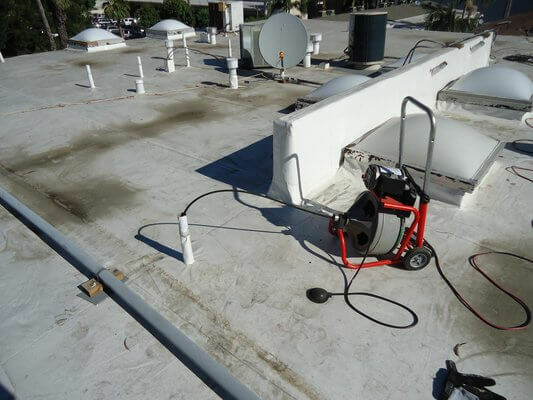 Why do some homes and businesses in Orange County require frequent rooter assistance in order to maintain seamlessly working drains? Many environmental factors contribute to the decay of water and sewer pipes. In some cases, plant roots will physically encircle an aging pipe. 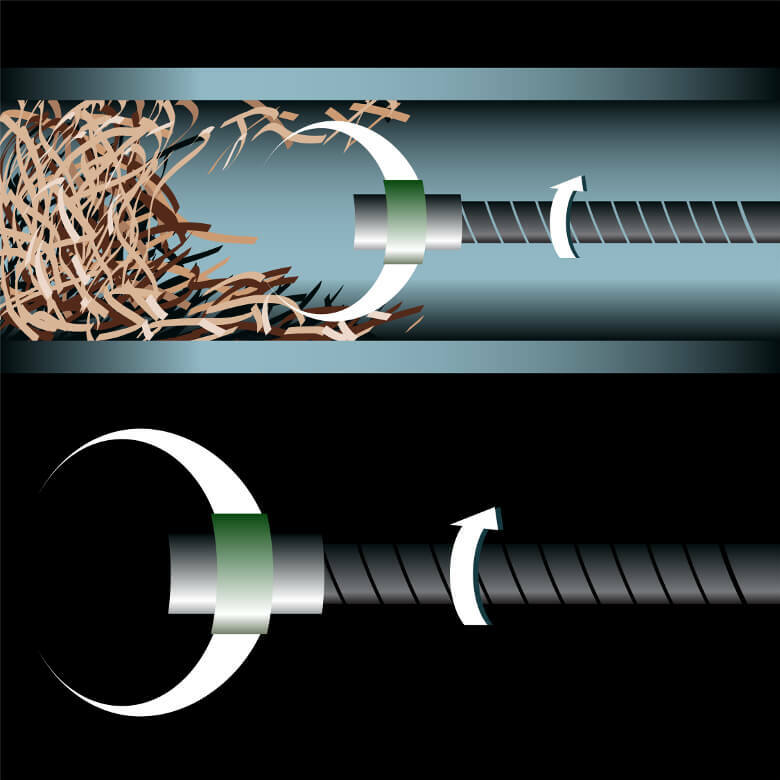 A strong root system may even tap into the pipe, potentially causing a natural obstruction impeding water flow. Additionally, in some cases mineral deposits from water become encrusted along the interiors of some types of sewer pipes. Crusty mineral build-up will eventually occlude the opening inside the pipe, contributing to sluggish drain performance and (sometimes) backup problems. By supplying skilled rooter assistance, we help remove these kinds of common infrastructure problems; potentially, our efforts assist property owners in obtaining the best possible value from their water and sewer systems. Our local company has invested in the state-of-the-art cleaning tools and supplies required to serve our customers effectively. We offer dependable rooter assistance to help maintain clean, seamlessly operating drains and pipes. As full-time experts in this field, we possess extensive experience providing these types of specialized drain cleaning services. Ask us to help eliminate sluggish drainage and stinky, foul-smelling odors by visiting your home or workplace on a regular basis. We’ll clean out clogged drains and remove blockages. Do you believe your OC property would benefit from receiving periodic services from our drain cleaning company? Our proven track record of success in this field speaks for itself. If you’d like to obtain fast, qualified rooter assistance, we hope you’ll think of our locally owned and operated business first. Contact us now to schedule an appointment with our cleaning team. We believe our service offers value. After noticing the difference our efforts makes, you can ask us to visit your premises on a routine, regular basis to provide ongoing rooter assistance.